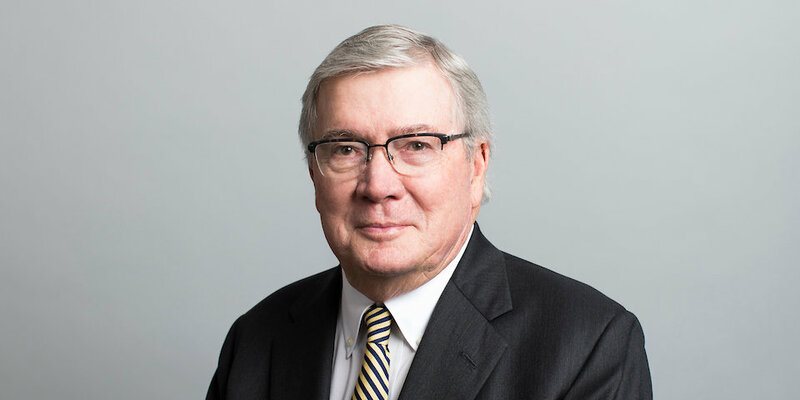 Bill Lamson is a founding partner of Lamson Dugan & Murray and currently serves on the Management Committee and as Chairman of the Firm’s Litigation Department. Mr. Lamson’s practice spans a broad spectrum of litigation and includes representing individuals and corporations in commercial matters, environmental, occupational and safety litigation, as well as professional negligence claims. In his years of practice, he has handled a wide range of commercial and insurance defense matters, including breach of contract, hostile takeovers, reinsurance arbitration, and insurance coverage and represents a major railroad in a variety of litigation. He has tried over 100 jury cases to verdict. Mr. Lamson is a partner of Lamson Dugan & Murray and Chairman of the Firm’s Litigation Department. His practice encompasses state and federal court trial litigation and appeals, administrative proceedings and arbitrations. Bill’s litigation practice spans a broad spectrum and includes defending individuals and corporations in commercial matters, environmental, occupational and safety litigation and professional negligence claims. Mr. Lamson represents individuals and corporations insured by many major insurance companies, including companies that provide coverage to healthcare professionals and entities. In the last twenty years of practice, he has handled a wide range of commercial and insurance defense matters, including breach of contract, hostile takeovers, reinsurance arbitration, insurance coverage, along with the defense of medical and legal malpractice cases. While not helping clients address their legal issues, Bill enjoys reading and exploring new restaurants and cuisines. Represented the City of Omaha in the successful annexation of the City of Elkhorn. Represented the Defendant in the successful defense of the constitutionality of the Nebraska cap on medical malpractice verdicts. Represented the Defendant in the successful challenge of Plaintiff’s expert witnesses in a Daubert hearing. Successfully defended the Seller in Nebraska’s largest fraudulent transfer claim in which the Plaintiff sought to set aside a $32,000,000 sale of a convenience store chain. Represented the Defendant in the reversal of a multi-million dollar verdict arising out of a contract to provide electrical power. The re-trial resulted in a Defendant’s verdict. Represented the Plaintiff in a $2.6 million decision in a fraud case. Represented the Plaintiff in a $4.8 million verdict in a product liability case. Obtained a Defendant’s verdict in a medical malpractice case arising out of a laparoscopic procedure. Obtained Defendant verdicts in three federal employer’s liability actions where the Plaintiff was claiming permanent disability. Obtained a Defendant’s verdict in the defense of a legal malpractice case involving questions of securities law. Obtained a Defendant’s verdict in a case involving an allegation of whole body vibration. Obtained a Defendant’s verdict in a medical malpractice case involving allegations of negligence resulting in brain damage. Mr. Lamson received his law degree from the University of Nebraska College of Law and his undergraduate degree from Wayne State College. Mr. Lamson the recipient of the 2011 Nebraska Defense Counsel Association “Defense Lawyer of the Year”. Mr. Lamson was inducted into the American College of Trial Lawyers in 1985 and the International Society of Barristers 1996. Mr. Lamson is admitted to practice in both State and Federal Court in Nebraska, as well as the United States Supreme Court. In addition, he has been admitted to practice on a pro hac vice basis in various jurisdictions, including State and/or Federal Courts in Illinois, Tennessee, Arkansas, California, Louisiana, Iowa, Texas, Minnesota, Colorado, Wyoming, Missouri and Illinois. Mr. Lamson is a Fellow of the American College of Trial Lawyers and the International Society of Barristers. He is a Member of the National Association of Railroad Trial Counsel, The American Bar Association and The Nebraska State Bar Association.